Few things are more precious than owning a copy of your favourite book with a personal scribble by its creator on the inside cover. You know, when you’re sure the author’s handwritten note says “Lots of love” but a small part of you fears it could be “Lol u dumb”. If you’re an admirer of great contemporary artists Christo and David LaChapelle, Taschen Brussels has a treat in store for you. So, you’re all set for ‘David LaChapelle: After the Deluge’, opening 28/10 at BAM in Mons, so are we, it’s a mood. There’s more to look forward to however: the good folks at Taschen in Brussels will be hosting a signing with David LaChapelle on October 18 for the release of his two new books ‘Lost+Found, Part I’ and ‘Good News, Part II’. The new releases are the much-anticipated final instalments of LaChapelle’s five-book anthology, spanning from ‘LaChapelle Land’ (1996) to ‘Hotel LaChapelle’ (1999) and followed by ‘Heaven to Hell’ (2006). This series has been more than two decades in the making, so the conclusion is a big deal. The books each contain over 150 unseen portraits of pop culture beacons like Whitney Houston, Isabella Blow, Naomi Campbell, Kanye West, Rihanna, Janet Jackson, Hillary Clinton, Lana Del Rey, Lady Gaga, the Kardashians and many more. The ‘Lost+Found’ book cover features Miley Cyrus posing as a Swarovski-covered fairy. Both books will be priced at €49,99. 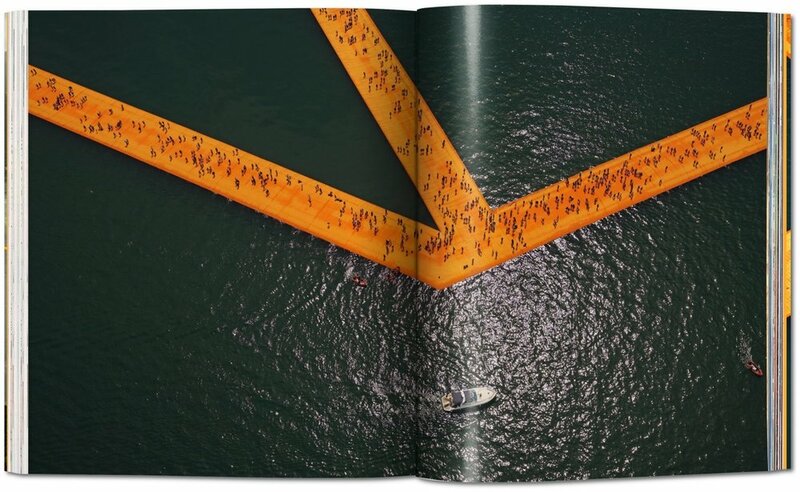 The gorgeous and surreal saffron-coloured Christo and Jeanne-Claude installation ‘The Floating Piers’ made headlines all around the globe when it was unveiled in 2016. For fifty years this walkable work of art had been on the table but only after Jeanne-Claude (the often uncredited wife and creative partner of Christo) passed away in 2009 the vision finally became a reality. Strips of fabric filled with polyethylene cubes allowed visitors to saunter across lake Iseo in Italy, experiencing a unique sensation Christo described as “walking on the back of a whale”. Just like every other Christo and Jeanne-Claude’s project, this one was funded entirely through the sale of their other artworks. Following a preview of the upcoming expo ‘Christo and Jeanne-Claude. Urban Projects’ opening October 25 at ING Art Center in Brussels, Taschen has also invited Christo for a signing of the new book ‘The Floating Piers’. In it, the artist who became legendary for his monumental wrapped artworks recounts the arduous behind-the-scenes process that the work required. The book is available in a €750-euro limited edition and general edition priced at €19,99. A beautiful read indeed, but also a one-of-a-kind opportunity to meet one of the most influential land artists of the last century.